Consumer inflation has been estimated since the 1700s by measuring price changes in a fixed-weight basket of goods. In the last 30 years, a growing gap has become obvious between government reporting of inflation, as measured by the consumer price index (CPI), and the perceptions of actual inflation held by the general public. The numbers today result from changes made in the 1990s when Washington changed the nature of the CPI; it overstated inflation by not allowing for the substitution of less-expensive hamburger for more expensive steak. The cuts in inflation were an effort to reduce the federal deficit without Congress having to do the politically impossible, which was to register a vote that would harm the image of Social Security. The consumer is often not given a choice when paying the full price for a product or has little or no concept of the quality improvement being acquired or the chance to opt out of paying for an improvement they do not want or need. Consumers care about expenses, but the numbers are adjusted so they have no choice but to value unwanted features. Because of this, and because the effects are cumulative over time, the CPI has become less of a reflection of true inflation—or even meaningless—to the public. Major changes to concepts geared towards making us feel better about things began in the 1980s. 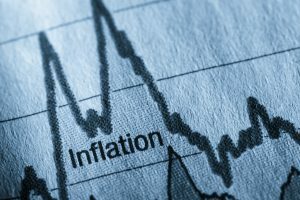 The effect has been to reduce the reported level of annual CPI inflation by about seven percentage points, so there is no question about understatement of inflation. Without these changes, Social Security checks would be more than double what they are now. Housing is another area where ‘improved’ estimates were designed to make consumers feel good, or better enjoy their residence. Inflation would be much greater if more money was flowing into tangible goods rather than paper investments and promises. Those taking the CPI numbers currently being reported to heart are vulnerable to future economic risk.